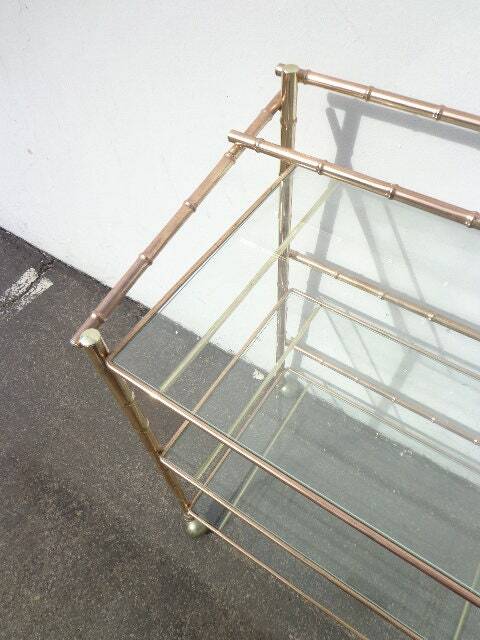 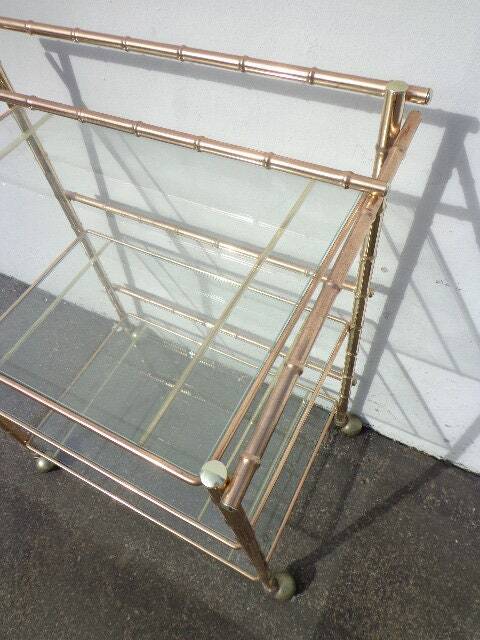 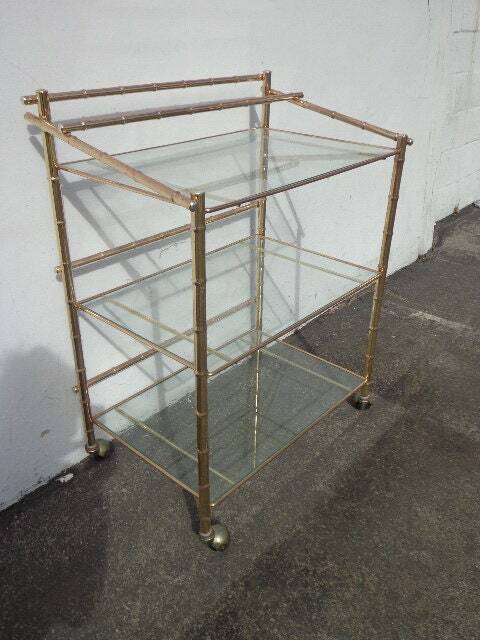 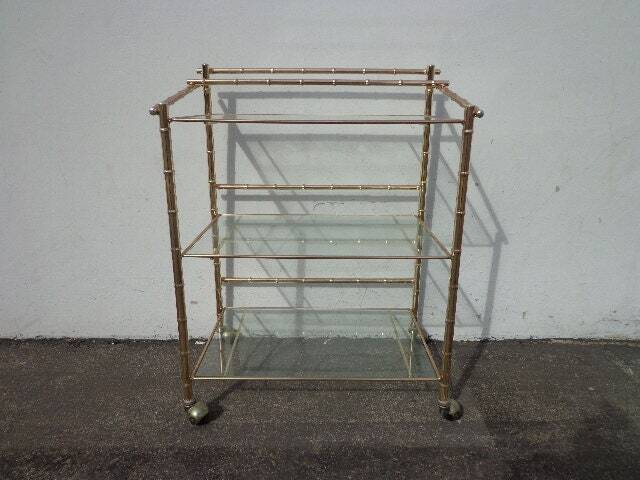 Totally fabulous vintage bar / tea cart with a gold brass colored bamboo frame! 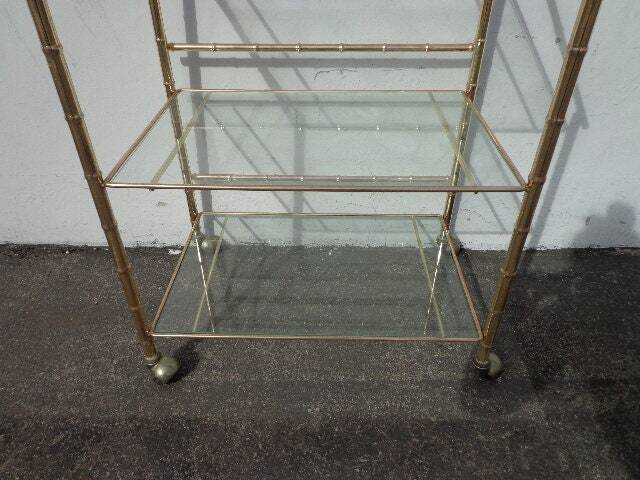 Features multiple storage areas and tiers to help keep all your barware organized. 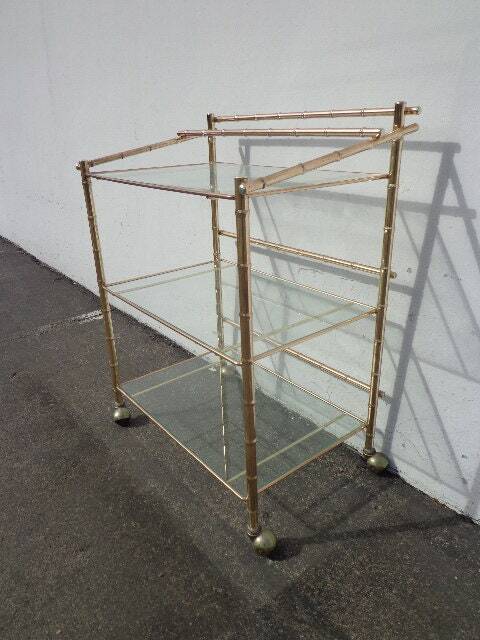 Fabulous Hollywood Regency design and style. 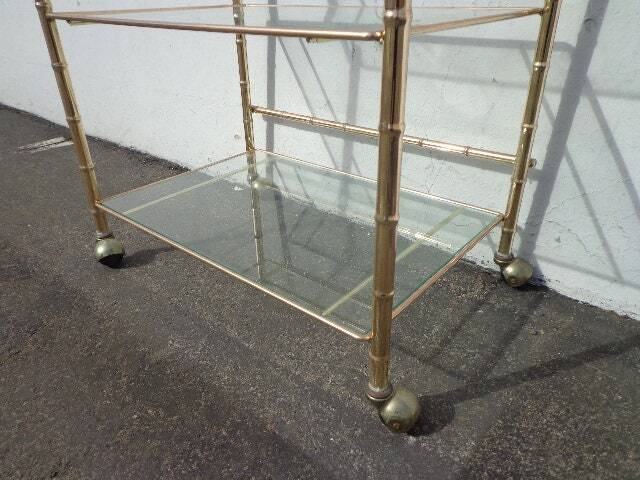 Set on smooth rolling casters. 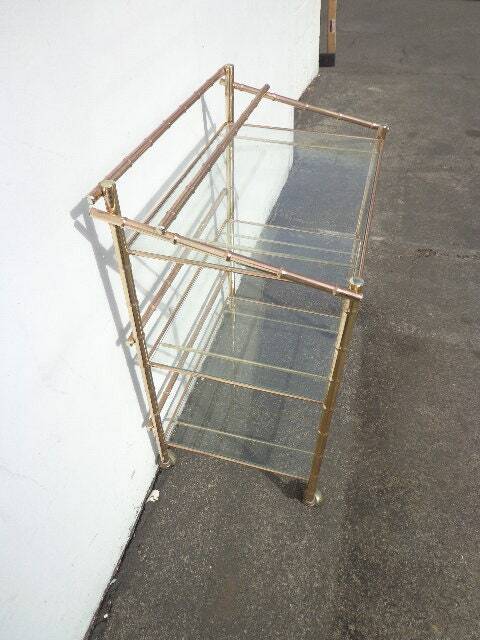 Perfect for any space and will be a focal piece. 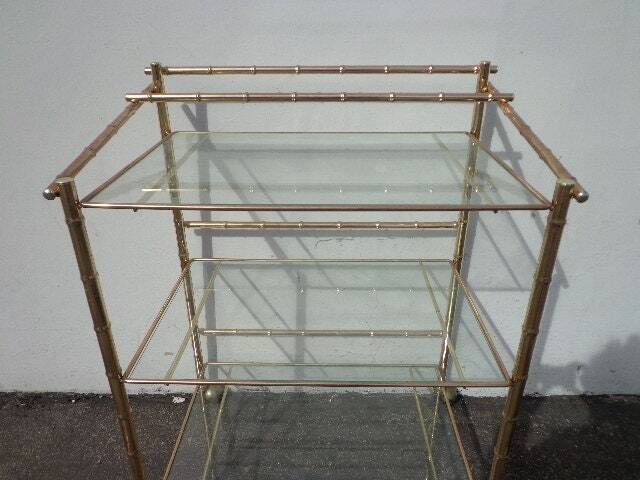 Decorative and provides ample storage for wine, liquor, spirits, barware, glasses, etc. 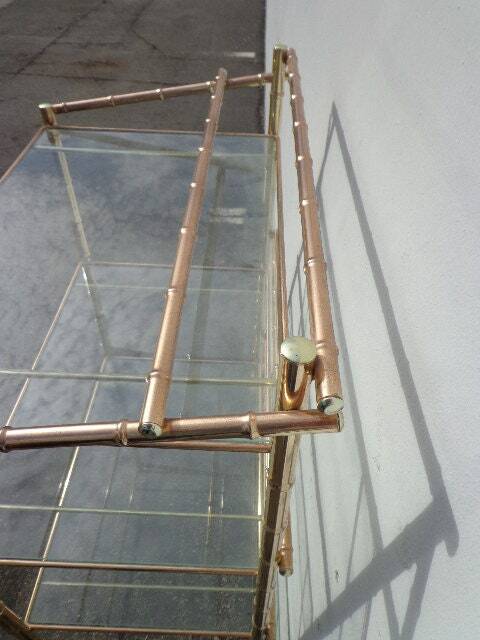 Dimensions: 27 1/2" x 17 1/4" x 34 3/4"